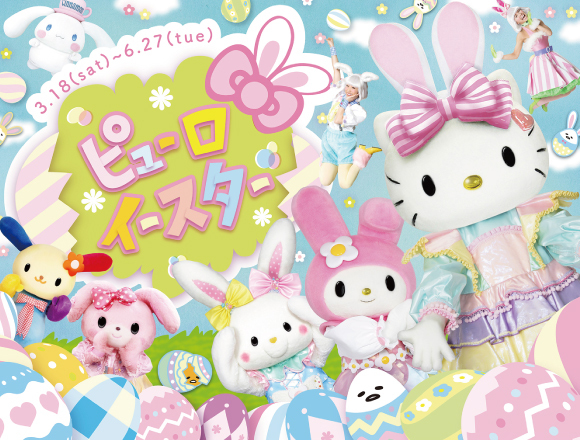 Don’t miss Puroland’s first ever Easter event ー a day full of fun, bunnies and eggs! 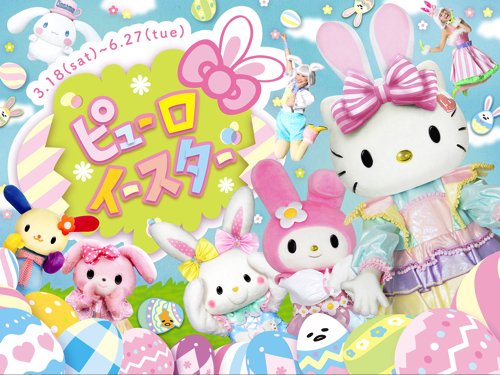 From Saturday 18th March to Tuesday 27th June 2017, Sanrio Puroland will be holding its first ever Easter event “Puro Easter”! You can catch Hello Kitty, My Melody, Gudetama and many other characters performing in a parade, take some snaps at colourful photo spots decorated with eggs, and indulge in the abundant opportunities for you to become your favourite character whilst munching through the food menu! Celebrate Easter in style with the “Easter Celebration Parade”. A total of 7 characters including MY Melody (a bunny) and Gudetama (an egg) will be taking part, which fits perfectly with the Easter theme of bunnies and eggs! Join in the parade by singing and dancing along with the characters, who are searching for Easter eggs throughout the parade! This parade is the perfect way to greet in the new Spring! 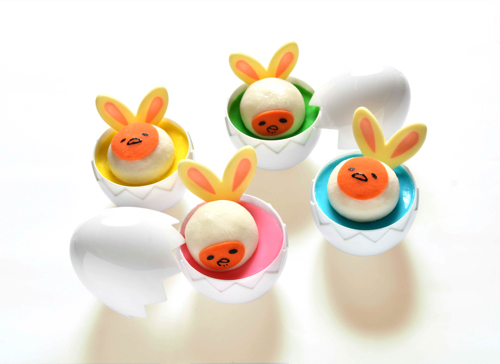 Penlights designed with Gudetama dressed as a bunny rabbit will also be available at the parade– wave these around during the show and there’s no doubt you’ll and add to the collective celebratory feeling! 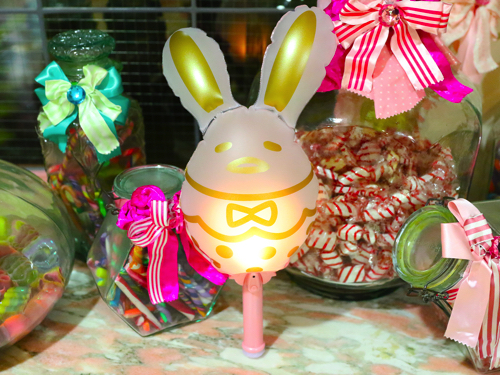 There will also be a limited Easter menu where the meals, cups and straws are all Easter egg-themed! Hold the designs in front of your face to transform into a new character —and don’t forget to snap a picture! 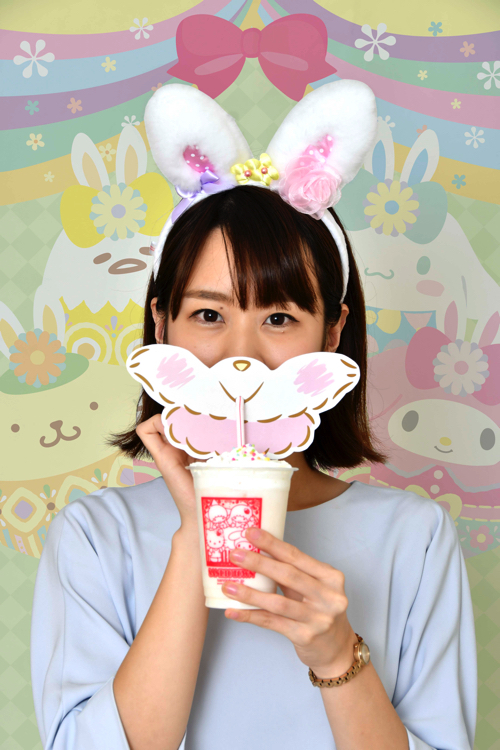 The limited edition goods range also includes a hairband that allows the wearer to transform into a bunny!